An advantage of buying a city’s museum pass is that it generally saves you money over individual tickets but it also entices you to visit places you might not have otherwise gone. Atlanta, where we used to live, has the world’s largest aquarium and it is truly spectacular so going to the one in Nancy wasn’t high on our list but it was part of the package, so we went. What a nice surprise in a couple of ways. It was well laid out as far as what sea creatures you were seeing and in what environment they generally lived. The bonus was seeing small groups of school children being escorted by teachers and aquarium staff explaining to the youngsters what they were seeing and why it was important to protect the animals and the planet. That pleasant surprise continued at the botanical gardens, also part of the pass, a short tram ride outside the city’s official boundary. It’s bordered by a high school and a university that are an integral part of the garden’s organization. Carcassonne, in the middle of what Bill and I call Wine Country, has a high school devoted to students who want to become part of that industry. 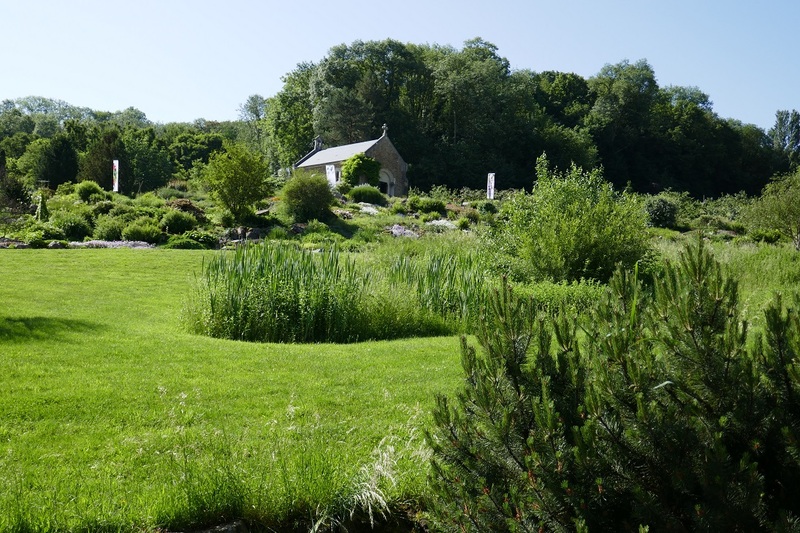 In Nancy, teenagers who have an affinity for all things green have multiple greenhouses and acres of meadows, fields, and forests to develop their passion. We saw teachers and students throughout preparing presentations for groups and literally getting their hands dirty in flower beds. Also included in the pass is the Museum of Iron that features an extensive exhibit about the Eiffel Tower. The steel for this emblem of France came from this part of the country so it was an especially appropriate and interesting display. 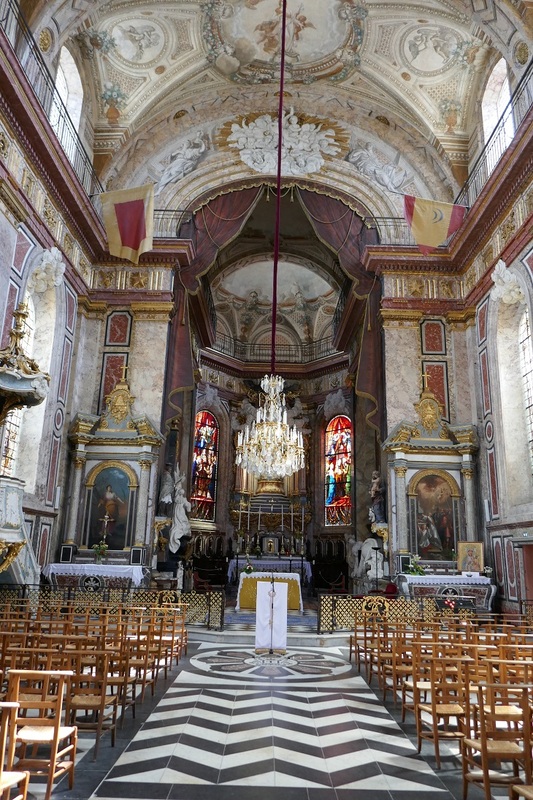 Walking back from there we stopped into Eglise Notre-Dame de Bon-Secours, a Baroque style church that had been described as a “jewel box” and it certainly is. There’s not a centimeter of the floor, walls, or ceiling that is not carefully decorated. It also houses the tomb of 18th century ruler Stanislas whose name is still attached to many important places and structures around Nancy. 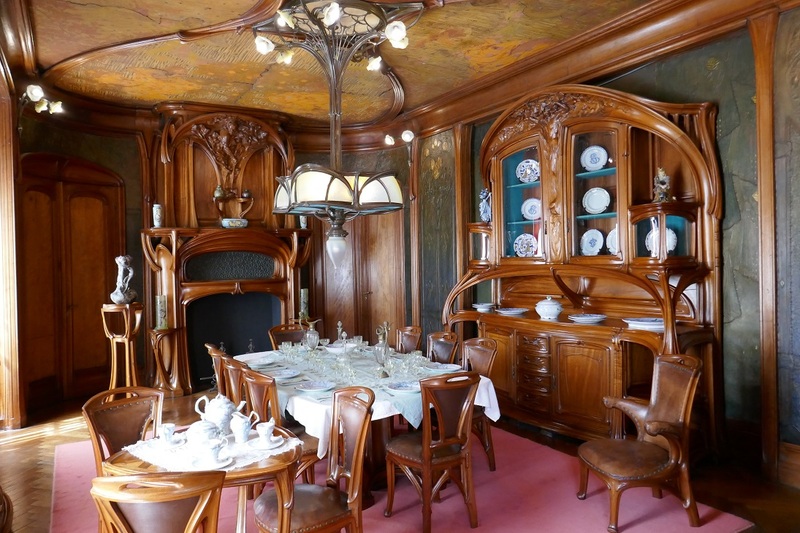 By chance, we chose a walking route through a neighborhood that was the perfect prelude to the Musée de l’Ecole de Nancy that houses a phenomenal collection of Art Nouveau furniture, glassware, and other objects of art. 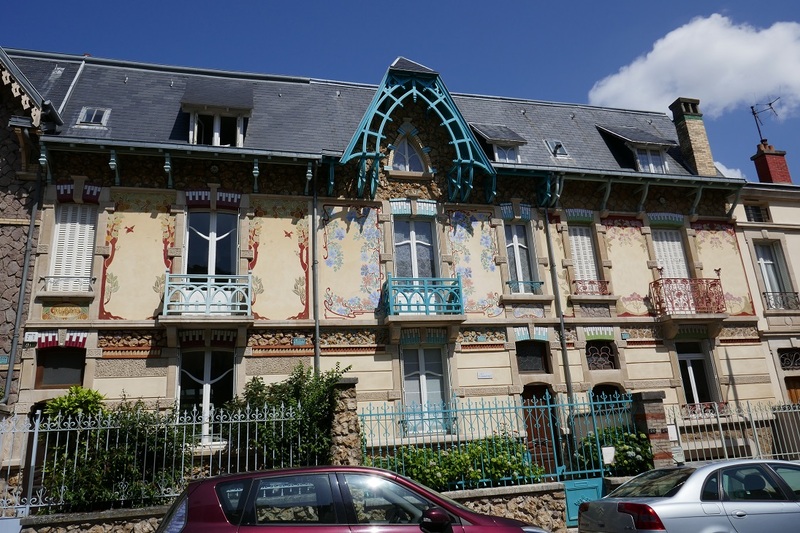 Strolling down Rue Felix Faure was like a tennis match as we turned our heads from side to side to take in the splendor of all the houses built and decorated right around 1900. We only saw those exteriors but inside the museum we could marvel at room after room filled with the elegance of that era. The gardens around the house include a 1904 aquarium pavilion that no longer provides a home for fish but maintains the look of that time in history. When on vacation we generally rent an apartment since it gives us more space, including a kitchen, so that we can shop in the local markets. For breakfast we never missed a morning at the artisan bakery Aux Plaisirs d’Antan to pick up the flakiest croissants, pain au chocolat, and almond pastries we’ve ever had. The hardest part about lunch and/or dinner was making a restaurant choice either in or right around the huge covered market or along Rue des Maréchaux just off Place Stanislas. 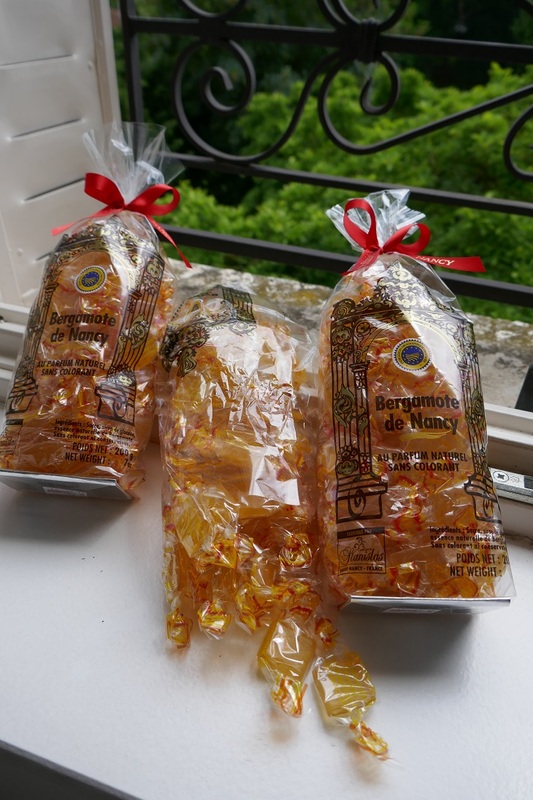 On the sweeter side, the area is known for its plums, often made into a potent Mirabelle liqueur, bergamot-flavored bonbons (think Earl Grey tea as a candy) and cookies that we might call macaroons. 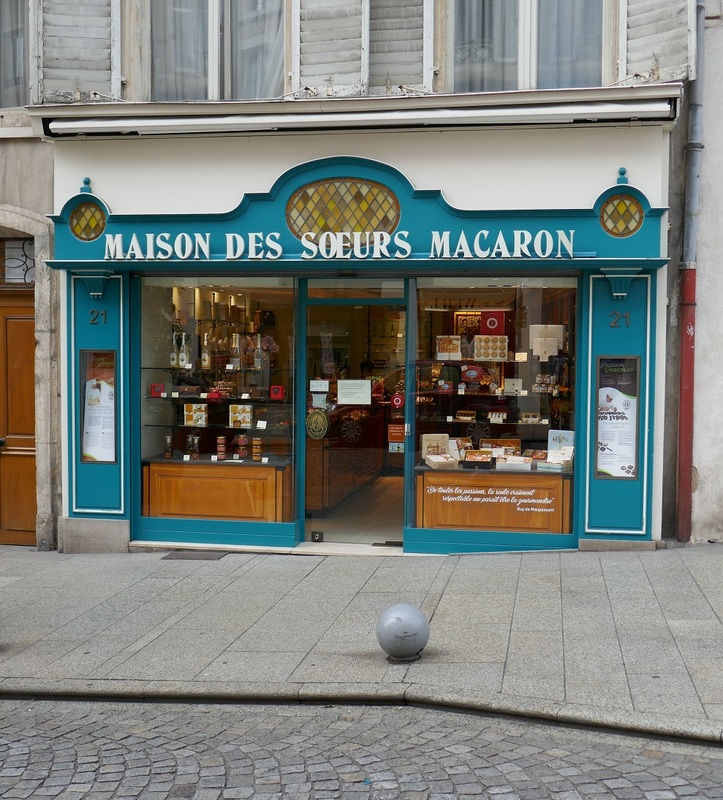 The legend says that nuns created the recipe in 1793 and started selling these macarons to keep food on their own table and it’s still working today. We went to Nancy initially because of a generous invitation from the French friends that we’ve known the longest (30 years!) who live there but even without that enticement there was already plenty of temptation from this elegant city to draw us there. Posted on August 12, 2018, in Life in France, Travel in France & beyond and tagged Americans in Carcassonne, Food, France, Restaurants. Bookmark the permalink. 3 Comments. Thank you; looks like we’ll need to add Amiens to our travel list! I just added Nancy to an ever-growing list!